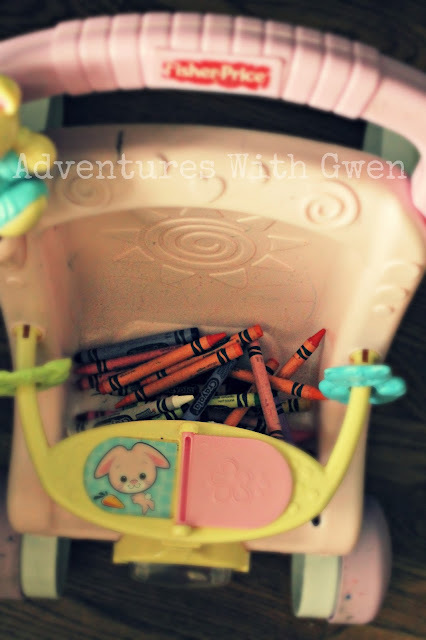 Adventures With Gwen: My Daughter, The Hoarder. Every crayon. Every book. Every piece of the 101 food set Santa may be regretting brought her. Would be with her at every moment if we allowed. When we put her book back on the shelves. She cries. Like she is never going to see them again. 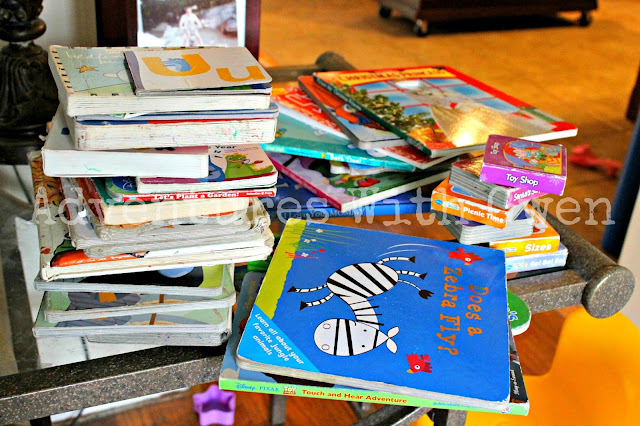 And then says, "No, Momma, no touch-a my boooooks." And if headed for a car ride, she packs every item she possible can into a bag and lugs it to the door. Thank goodness for naps and bedtime or I would never be able to get everything away. Let's just hope that I can break this bad habit before A&E has to get involved. Lol. Nolan really had a hoarding phase too...it has slowed down a little bit! G is hoarding everything in our bed lately. Its become the "it" place in our house. Just tonight I cleared off books, puzzles, dolls, and a turtle.